It's official: Brits' top preference of property type is a period home. A recent Real Homes survey of 909 people asked the participants whether they'd prefer to live in a period home or new build: 47 per cent would prefer a period home, 37 per cent would rather live in a new build. When the 430 participants who preferred period homes were probed further about what it is about a period property that's so appealing, a substantial 59 per cent pointed to the 'character' of period homes. More than 15 per cent identified the more specific 'design of the property' as the most attractive feature, while a further 12 per cent loved the 'uniqueness' of period properties the most. Another 7 per cent chose to provide their own answer, pointing to a better build quality as their main reason for preferring period homes. Bigger rooms and larger gardens were also mentioned. Interestingly, few mentioned price. New build homes are often more expensive than older properties to buy, although owners of period homes often end up paying more for renovations. However, with a 10-year warranty on new builds, better eco-efficiency and the simplicity of a no-chain purchase, the cost of a new build starts to look more attractive. What surprised us most about the survey results is that only 2 per cent of the respondents named the long-term increase in value as the reason for their preference of period homes. More proof that the quality, design and visual appeal of a home matters far more than its value alone. Or, in other words, the main value of a home to the majority of us is determined by how good it is to live in, much more so than how much it's worth. Hunting for your own forever period home? 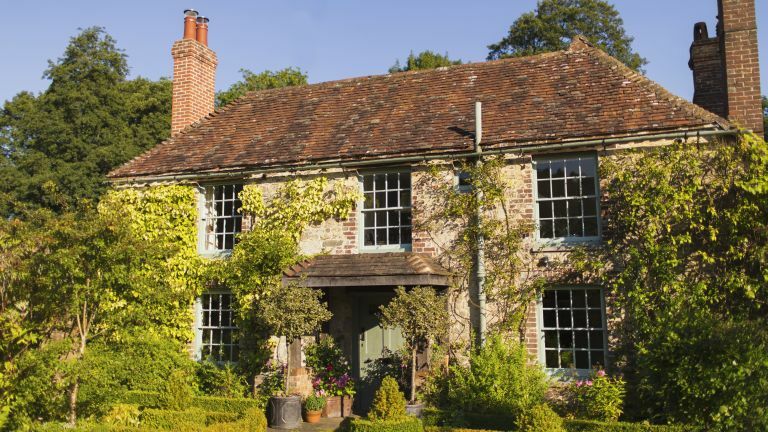 Find out how to buy an old house in our guide.